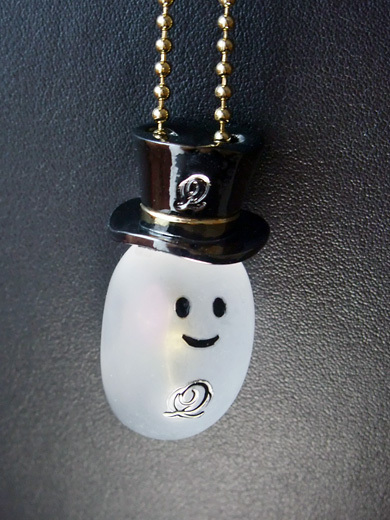 I adopted “Trick Ghost eats Lollipop candy Necklace” from Q-pot. 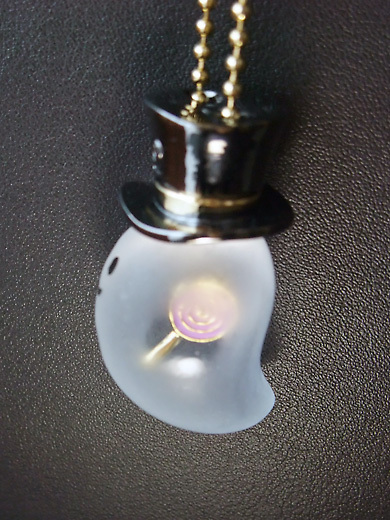 The ghost can wear some cute things… silk hat, ribbons, flowers and more! Halloween Ghost 2009 – Q-pot. this is so so cute! !is the lollipop inside of him?? adorable! !